THE GLYPH: Represents two fish swimming in opposite directions but bound together. MINERAL: Iron – Which maintains oxygen in your system, especially in your blood. Iron balances the nervous system, regularizes breathing, stabilizes physical metabolism, and prevents low blood pressure, anemia, and inflammation. Iron is found in chick peas, all green leafed vegetables, all dried fruits, nuts, cereals, root vegetables, and all fresh fruits. PERSONALITY TRAITS: Intuitive, sympathetic, caring, listener, who is full of understanding of the human psyche and are very empathetic. Charming Piceans are intelligent, creative, tend to support good causes, and are proud of animals. Difficulty in making decisions cause Piceans to drift ineffectually. Due to hypersensitivity they may suffer from mood swings. RULING PLANET: Neptune: was discovered by Johan Galle on September 23, 1864. Also known as the “Mystic” planet, it brings intuitiveness, idealism which associates with super-consciousness and spiritual development. Neptune, god of the sea, had power over storms, winds, and earth quakes. ANCIENT RULING PLANET: Jupiter: The largest of all the planets and considered the most benevolent. Also known as “The Great Benefice”, brings expansion, joviality, and grants the reward of material growth when plans mature. RELATIONSHIPS: Passionate and mystically emotional Scorpio holds a magnetic attraction for Piceans. With a warmth and genuine desire to make others happy Piceans require a caring loving yet forceful partner to counterbalance. Dreamy Pieces, poetic and lyrical in love always seeks to discover the fairy tale romance. Sensitive, maternal and protective, Cancer offers a warm, affectionate romance. IF SHE IS PISCES: A born romantic, sensitive, and emotional who seeks satisfaction in intimacy, you posses the instinctive flair for fascinating touch. 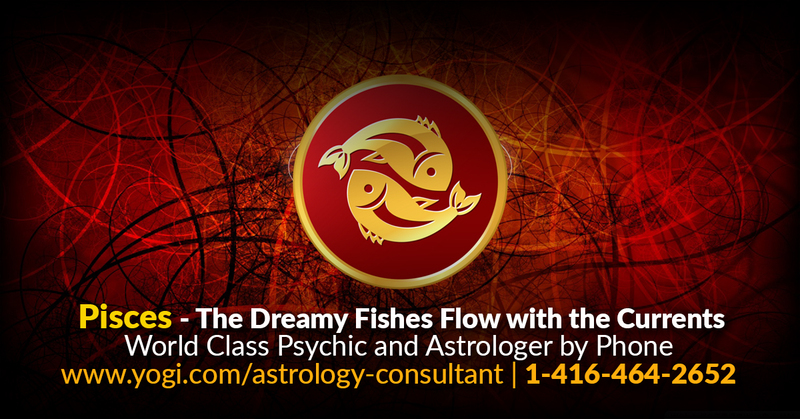 IF HE IS PISCES: Physically attuned, sweet, and kind to fulfill your innermost desires. Big spender, could be a non reformer. CAREERS: CBeing an intuitive caring, professional reflecting the rhythms of the sea are the best. Any career where you can use your enormous charm and creativity, such as a dancer, astrologer, physician, art or theater director, etc. HEALTH: Care should be taken in regard to seafood and contaminated water. Conditions affecting feet and toes such as bunions, corns, gout, prevail. Illness connected with nervous stress and allergies. Pisces -Sensuous -Mutual Bliss -Who Pays? You or me?